Once upon a time, I wanted to be a writer. While this is true, this isn’t where my story begins. My story starts a bit further back. In the 2nd grade actually. When I was in the 2nd grade, being a writer had never crossed my mind. I simply devoured whatever chapter books I could get my hands on and wrote cute, little, terrible stories about bunnies and kites. Then I began homeschooling. Our initial homeschooling curriculum left much to be desired. In other words, we did two hours of school a day. I spent most of my time reading. If I had a decent-sized chapter book, like Ramona and Beezus, I could finish it in a day. I began working my way through the Little House in the Big Woods series. When I was 10, I got an itty, bitty laptop for Christmas. It didn’t have any virus protection, and I never figured out how to connect it to the internet, so I just used it to write a smattering of terrible, uncompleted stories that remind me of how far I’ve come. If I’d had any idea how terrible I was, I would’ve stopped. But I didn’t know, so I kept writing. I wrote about DS games, Legos, and evil babies trying to take over the world. The antagonist was a dentist. When I was younger, I’d gone to the dentist and had 13 cavities filled at once. Let’s just say I was a bit salty about that. Then school slammed me like a pro wrestler. I went through a season where I devoted myself entirely to academics, and the flood of novel reading and writing slowed to a trickle. I had two short story assignments during that time, and they reminded me of how passionately I loved writing. Once summer, when I was 15, I got hooked on reading again, particularly romance. I’d dabbled in fan fiction a little. I’d tried a Star Wars one, but the idea had fizzled with little results to show for the few chapters I’d written. Then I heard about a fan fiction called Jelsa, Jack Frost and Elsa. I thought that was weird. Jack Frost is 14, and Elsa is 21, though Jack is always older in the fan fictions. I was right: they were quirky. After reading a few fan fictions, I stopped and thought, I can do better than that. A grand total of two Jelsa books, 191,625 words, 1,146 reviews, 217 followers, and 261 story favorites later, I had done better. With the external encouragement from the reviews, I summoned enough motivation to finish my first stories. Throughout fall, I wrote every single day, about two hours per day. When I missed one day, my readers would demand more, so I met those demands. I was thrilled. People actually liked what I’d written, and so did I. Maybe, just maybe, this passion could go somewhere. I decided to get serious about this. After hours and hours of research over Christmas break on helpingwritersbecomeauthors.com, I’d outlined my first original story. January 2nd, 2015, I published my first chapter. My stomach was twisting in knots all day. I knew people would hate it. Two reviews trickled in. I kept writing. Then my dad told us we were moving, with three months notice. Both my writing and school were crippled as I spent all day working on the house. During the summer, I finished my book, gaining 530 reviews, 113 favorites, and 141 follows. People liked this story, so I figured I might as well publish it and make some money on the side, right? During the summer of 2015, I bought a book: Go Teen Writers: How to Turn Your First Draft into a Published Book. If I was going to publish this story myself, it was going to be top-notch. But then I read about traditional publishing, agents, and something entirely foreign and unheard of: writer’s conferences. I didn’t know they’d existed. The book mentioned ACFW, so I thought I’d check it out. 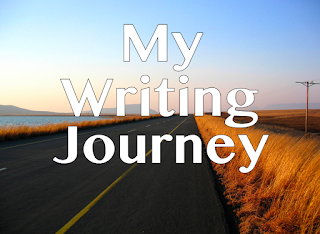 I joined Scribes, where I met Laurie, and eventually migrated to a smaller critique group. While I was on ACFW, I saw that they had a conference coming up. I filled notebooks up with research and information. I rewrote my book before the conference: 90,000 words in twelve days, from beginning to end. I attended the conference, made connections with agents and writers, learned about the craft, and met Francine Rivers. After leaving the conference, I knew I had to start building my platform: I needed a blog. The first time the blog Lands Uncharted was ever mentioned was in an email with Laurie, where she said, “If you ever have any interest in doing a group blog in addition to your personal blog, let me know :)” That was in November 2015, and by January 2016, Lands Uncharted officially launched! I won a free, professionally-designed personal blog from KikaDesign, and it launched officially in February 2016. I posted the original story again online—this time on WattPad, where I now have 129,000 views, 8,200 likes, and 1,000 comments. During summer, I went to both the Realm Maker’s Conference, which I heard about from writers attending ACFW, and the 2016 ACFW conference. After getting my editorial review back from Nadine Brandes earlier this year, I had a hunch my manuscript needed some serious overhaul. It was lacking a definitive character arc—the pinnacle of a good novel. I’m still in the process of that rewrite. 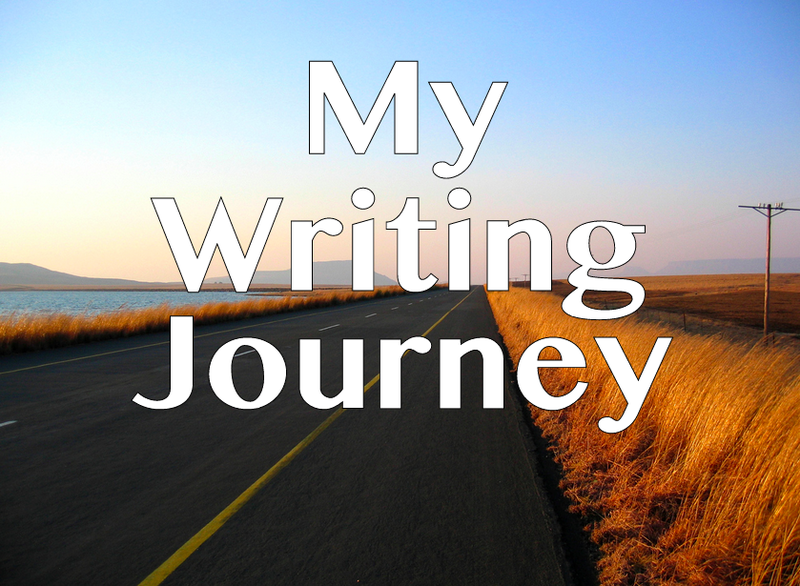 That covers my writing journey over the past 10 years. It’s amazing where God can take you in that amount of time. What journeys has God taken you on in the last 10 years? Wow, thanks for sharing this, Liz! There's so much about your writing journey I didn't know - I hadn't realized you had done some fan fiction and had your story on WattPad, how cool! And having read some of your writing, I'm not surprised your stories have been so popular :) I can't wait to see where your writing journey continues to take you! Very impressive, Liz! You have such determination and talent!